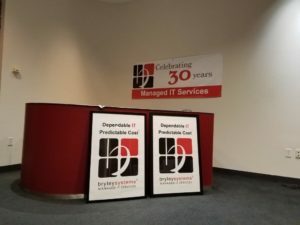 Uncategorized Archives - Bryley Systems Inc.
Bryley Systems recently moved to its new location at 200 Union Street in Clinton, MA. We are excited to be part of the Clinton community. The building we are inhabiting is the old Post Office built in 1937, but was completely renovated and modernized in 2004. 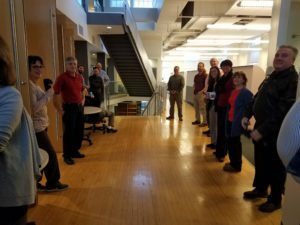 It has more than 10,000 square feet, the majority of which we currently occupy, with room to grow. 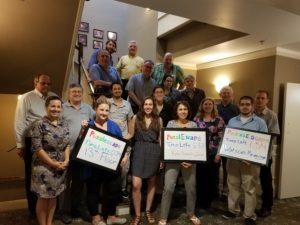 Hudson-based Bryley Systems and Bryley client, Stow-based Warren Insurance, together raised funds for the Hudson Boys & Girls Club. The donation was generated through Bryley’s refurbished computer program. 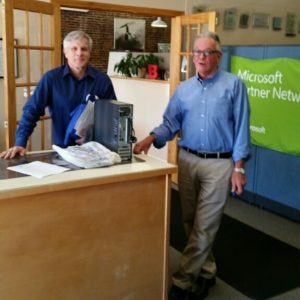 Bryley donates a refurbished computer in exchange for a donation made to a local charity – generally the Hudson Boys & Girls Club or the Hudson Food Pantry. With the cold weather quickly approaching it’s important to take care of your machines. While we all appreciate and like a warm working environment, it’s important not to place devices too close to heating devices. 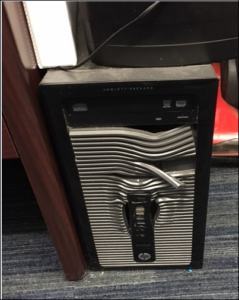 A client of ours mistakenly left a space heater on overnight and came into work the next day to find the front bezel (front of the computer) had melted. The ports on the front, including power and USB, no longer function. This could have been a lot worse, with potential for fire. This is a good reminder to double-check that everything is off before leaving for the day, and to make sure you leave ample space between your computers and heaters. 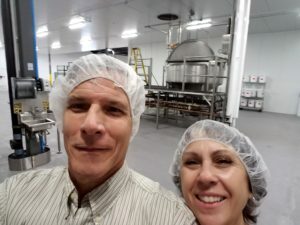 Gavin Livingstone, President and Co-Owner, along with Cathy Livingstone, Co-Owner, attended Table Talk’s ribbon-cutting ceremony last month as part of the Worcester Regional Chamber of Commerce. 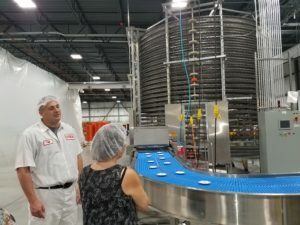 The facility is 50,000sq ft. and has state-of-the-art machinery capable of producing 10,500 pies/hour, nearly doubling current production1. 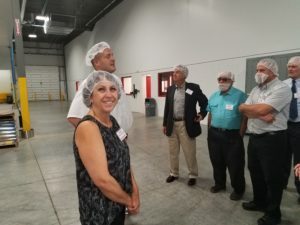 The land it sits upon was former industrial wasteland, but Table Talk went to great lengths to clean up the site and provide more Worcester residents with employment opportunities. 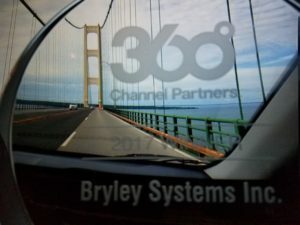 Bryley’s Prestigious Channel Partners 360 Award Travels the U.S.
After being honored as one of 25 recipients worldwide, our prestigious award is traveling the U.S. in celebration – being one of the most sought-after in the industry of technology solutions. 5 Mile Bridge. The Mackinac Bridge, more commonly known as the 5 Mile Bridge is the longest suspension bridge in the Western Hemisphere. It was built in 1957 to connect the Upper and Lower Peninsulas of Michigan. Prior to 1957, individuals had to take a ferry to get from one side to the other. The bridge was designed to withstand the incredible Michigan weather including high winds, drastic temperature fluctuations, and shifts in weight (due to traffic and ice). https://www.bryley.com/wp-content/uploads/logo-340.png 0 0 Jessica Giunta https://www.bryley.com/wp-content/uploads/logo-340.png Jessica Giunta2017-09-05 06:34:252017-08-15 12:03:34Bryley's Prestigious Channel Partners 360 Award Travels the U.S.
Bryley Employees Enjoy a Summer Outing! Bryley Employees took some time to gather together and celebrate all that we have accomplished this year. We ventured out to Puzzlescape in Hudson, to see if we had what it took to get out! We are happy to announce that everyone safely escaped their respective rooms! Here are some photos from our adventure. 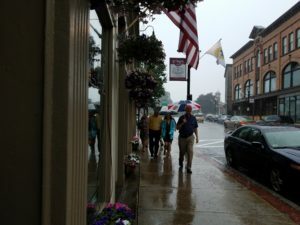 Trudging through the pouring rain. We did it! 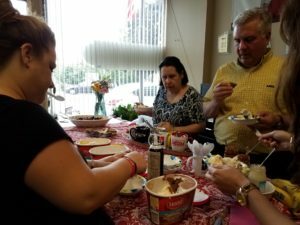 Making our own Ice Cream Sundaes! https://www.bryley.com/wp-content/uploads/logo-340.png 0 0 Jessica Giunta https://www.bryley.com/wp-content/uploads/logo-340.png Jessica Giunta2017-08-03 06:30:002017-07-10 12:14:28Bryley Employees Enjoy a Summer Outing! 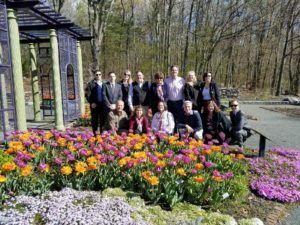 The WRCC Ambassadors visited Tower Hill Botanic Garden in Boylston, MA on May 3rd. Gavin Livingstone, President of Bryley Systems, is the Chairman of the WRCC Ambassadors. He is pictured in the front row, 3rd from the right. Tower Hill is located on 132 beautiful acres with two, large (4000sq’) greenhouses, an education center, outdoor gardens with fountains, walking trails, and views of Mount Wachusett and the Wachusett Reservoir. It was founded in 1986 by the Worcester County Horticultural Society, which originated in downtown Worcester in 1842. Tower Hill hosts indoor and outdoor events and programs year-round, from weddings to flower shows to Tai Chi to gardening classes. It has several, pet-friendly times, permitting leashed-pets and their owner access to walking trails during specified, non-peak hours. 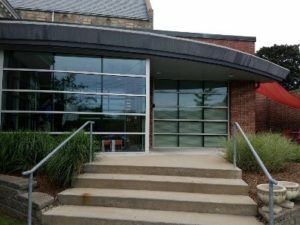 Tower Hill is volunteer-oriented; volunteers maintain the grounds, man the receptions areas, and present educational programs with only seven, permanent, grounds-based staff. Affordable memberships start at $25/year (Student) and include access to facilities and most events.